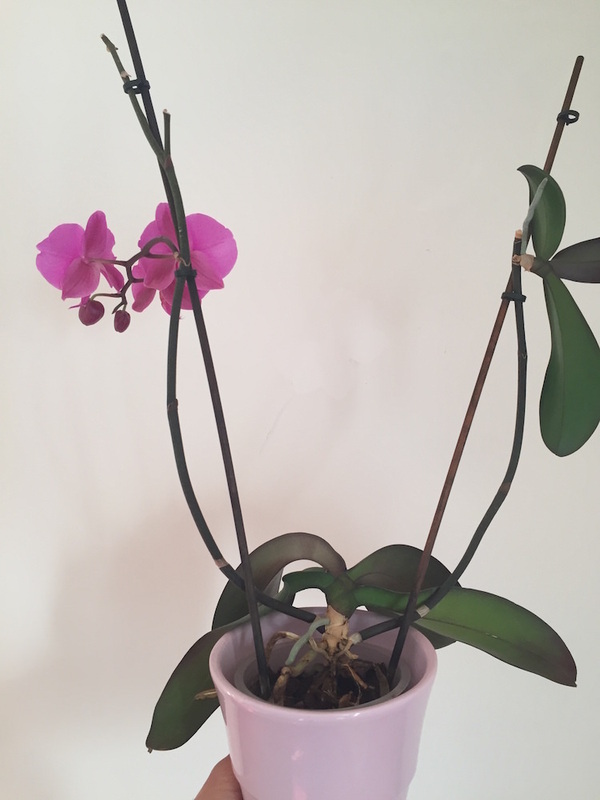 I inherited a phalaenopsis which was bought about a year and a half ago in a regular mall. It was really neglected and watered maybe 3 times during that whole period. All of a sudden, it decided to bloom. I got a bit interested in house-plants and decided to take over the care about this little fella. I have read a lot about them and understand the basic concepts about watering, fertilising while in bloom, repotting only after they bloom, etc. but there seems to be an issue with this plant. There is a keikei which I'd like to cut off and plant in a separate pot. Should I still wait for it to grow a bit more and develop an additional root or two? Doesn't look too bad, and I do not see much in the form of root rot. The kiekie looks splendid and if you so choose it could be potted up at this point, it's a matter of preference. I'd like to see better photos of the leaves on the mother plant though. Are they firm or limp and pleated? Sounds like everything is ok with your phal. 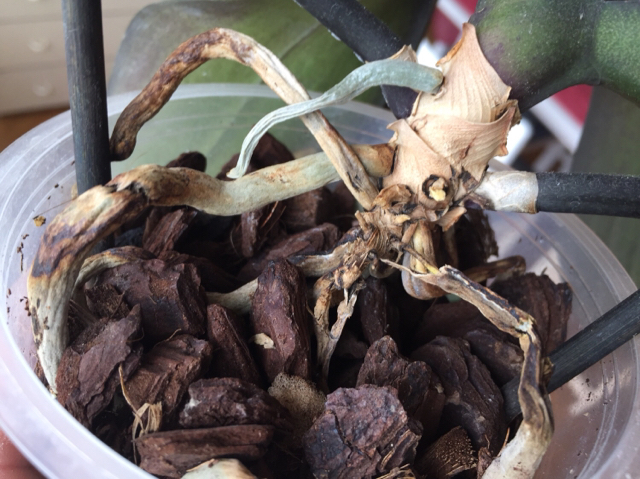 You may want to consider repotting at some point. Besides that's just continue to give good care to the plant and you'll continue to be rewarded with lovely blooms! The problematic leaf is drying out, the air roots look like they are shrinking and turning brown. Is this a sign of too much or too little water? Fungus infection maybe? I dont know if I should do something or not? Hi astrbac, I'm also new so please don't take my word for it. I just want to give some probability that if the inner pot root still green then it could be dehydrated only on the upper part of the pot? I also heard that root rot can happen if the source of water is hard and over fertilize? I don't really know I'm sorry but hope it will get better soon. 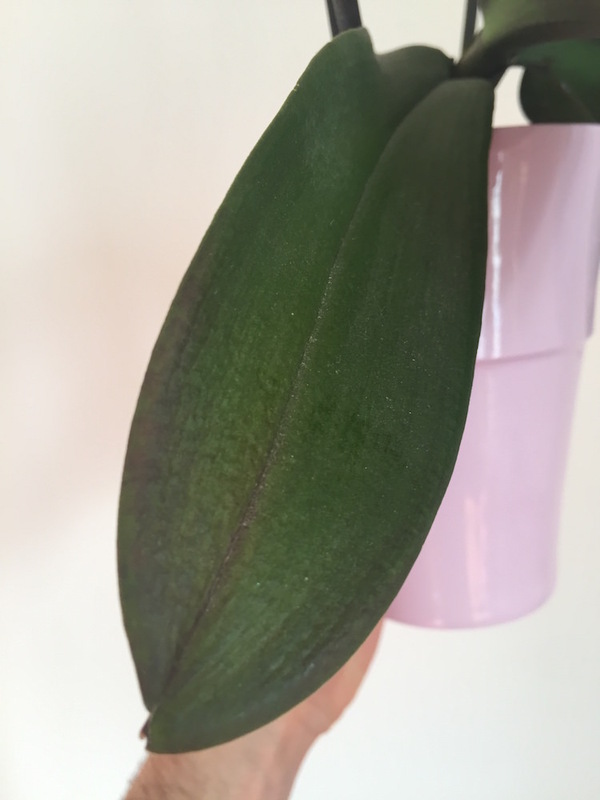 It is normal for lower leaves of phalaenopsis plants to age out and die off. 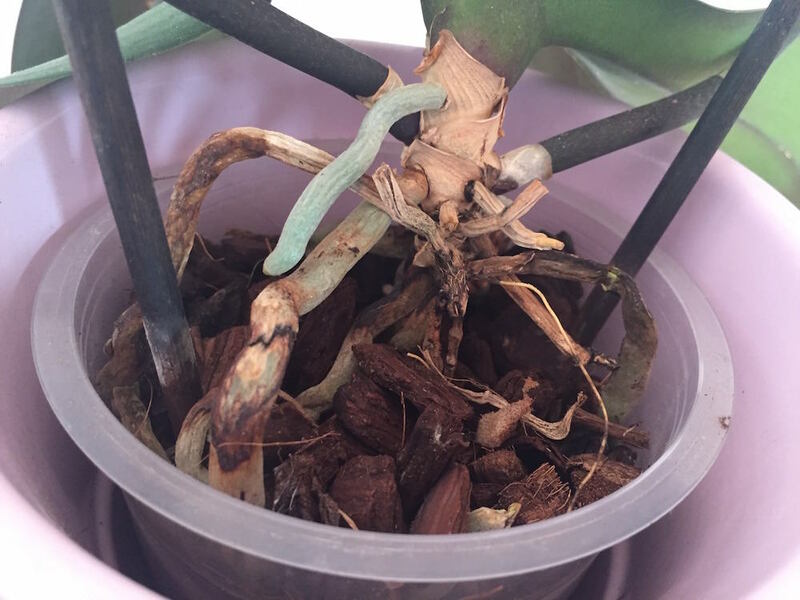 If the roots in the pot are still green when you water, the plant is not in danger of dying immediately. You don't say when you repotted last, but if the plant were mine, I would repot and set the plant lower into the medium. The roots near the leaves look severely dehydrated, so I'm guessing the humidity where the plant is growing is pretty low. 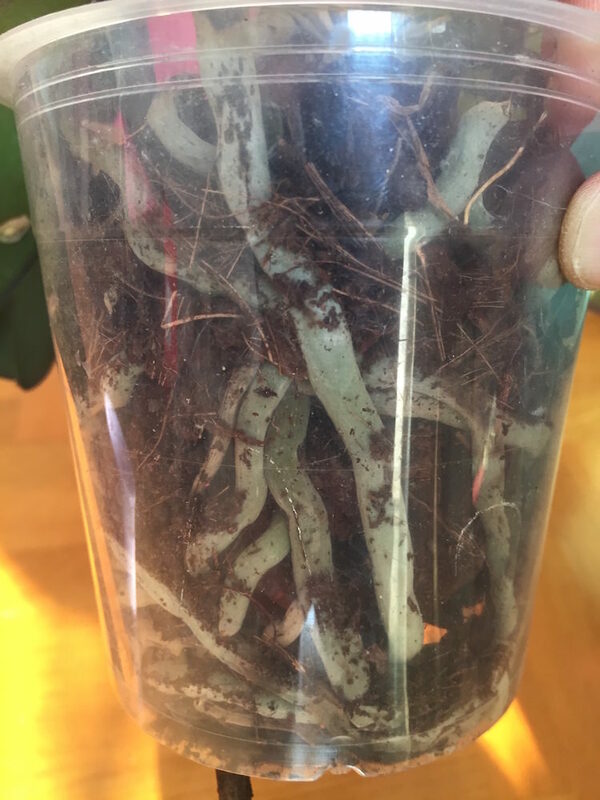 The roots above the medium are shriveling because they are drying out. Putting them down into the medium will help them get more moisture. When you repot, the medium will hold less moisture, so you will probably need to water more often. Using a wooden skewer will help you monitor how long it takes for the medium to dry out. I tried to add a link, but that function is not working. 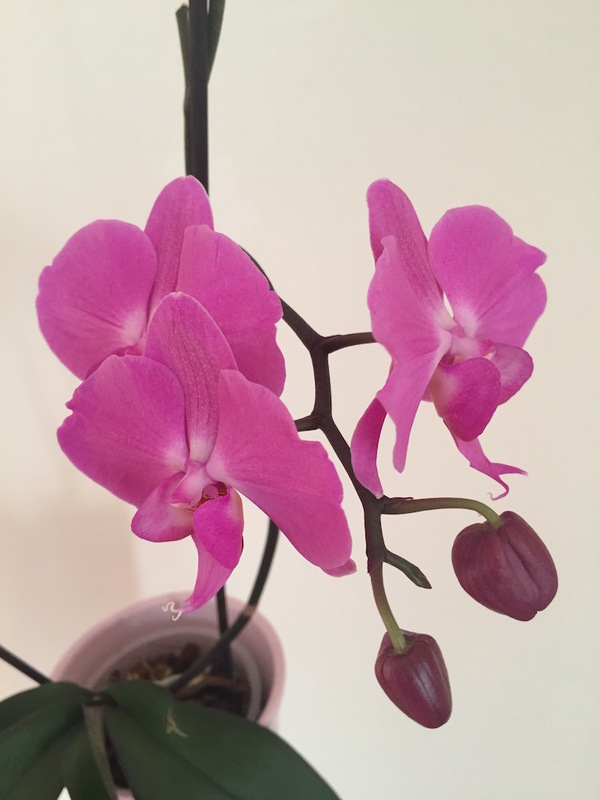 Go to the "Orchid Care and Cultivation" section of the forum, and read down the "sticky" threads at the top of the section. Find the one called "skewer use for watering"; that will explain how to tell if your plant needs watering. Last edited by Fishmom; 03-26-2018 at 10:37 PM. I think you are seriously under-watering. That plant looks very dry. 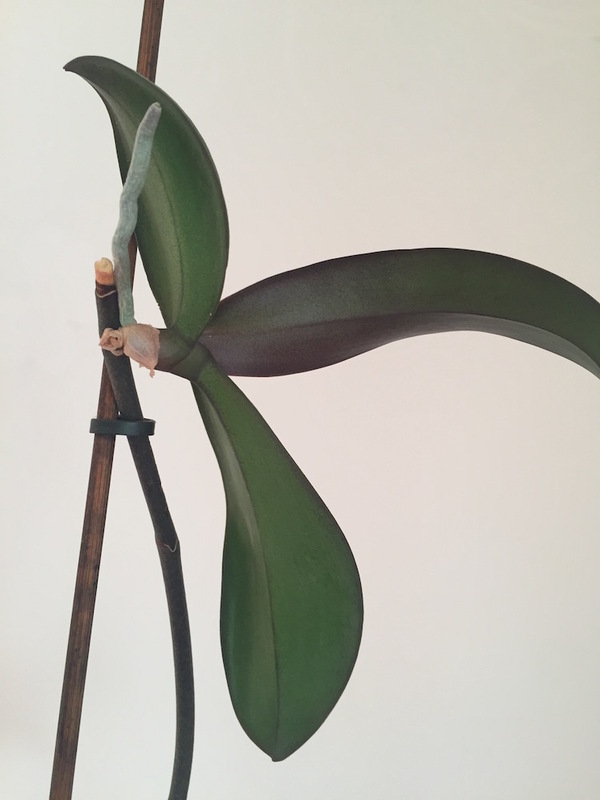 Phals should never dry out completely, but should always be moist.. But the roots in the pot in the first pic looks fine, but the shriveling of the air roots could be attributed to dehydration. I think you just need to water more and it will be fine.